The annual Wimbledon Championships are now under way at the All England Club in south-west London, where almost half a million fans will enjoy a fortnight’s feast of tennis. 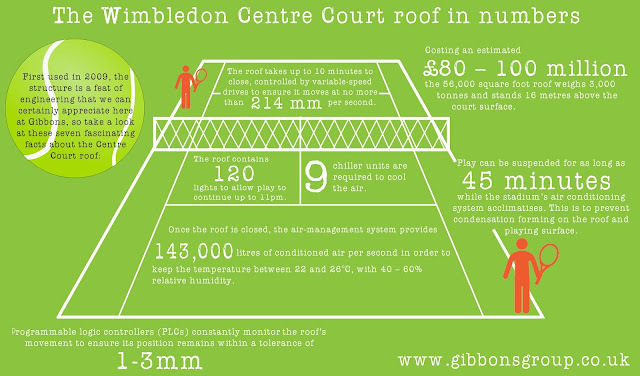 For the last six years, Centre Court crowds have been spared long, frustrating rain delays thanks to the stadium’s impressive retractable roof. You can explore Gibbons’ range of electric motors, variable-speed drives, HVAC systems and more on our website. Alternatively, call us on 01621 868138 or email info@gibbonsgroup.co.uk and we’ll be happy to answer any questions you may have.